It may seem counterintuitive to offer part of your product or service for free, but sometimes, it can be the most powerful marketing strategy at your disposal. Freemium, a combination of "free" and "premium" is a business model used widely by software companies to promote product-led growth. The idea behind freemium is this: By enabling prospective buyers to test out the software for free, you'll show the value in it before they ever spend a dime. Eventually, they'll hit a pay wall where they can't access certain key features without purchasing the premium product. Because they've experienced the benefits of the free version, paying for the upgrade feels like a natural next step. If that seems dubious to you, think again; countless companies, including DropBox, Hulu, LinkedIn and MailChimp, have seen major success with this model. It works because it allows the product to sell itself, reducing the burden on sales and marketing teams. But can it work for non-software companies too? Freemium has proven to be a great strategy for software companies, but that doesn't mean non-software companies can't spin up their own version of freemium offers as well. When you boil it down, freemium is a classic inbound way to sell products and services: Give value before extracting value. However, if you're looking to take a freemium approach to your business, there are a few things you should consider first. 1. 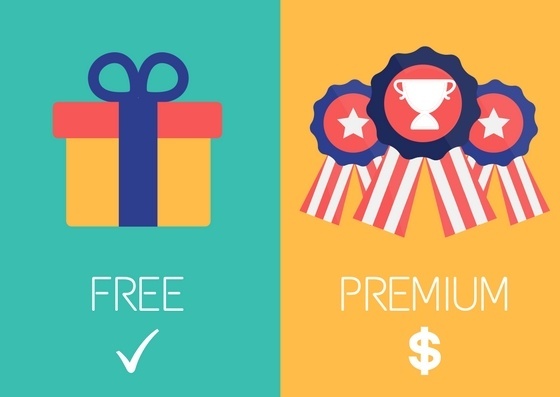 Will a freemium model be cost-efficient for your business? The main danger with a freemium business model is that if it doesn't make sense for your business, you could lose a lot of revenue in the long run. Before you weave freemium into your business strategy, you have to be sure you have all the resources you need to sustainably grow with this model. Is my product or service robust enough to support a freemium model? If your product or service only has three features, and you want to offer two of those features for free, people probably won't feel inclined to purchase the premium model. Is my product or service simple enough for people to easily try it out? If the barrier to using your product or service is too high — for example, if implementation involves a cumbersome data migration and other complicated hoops to jump through — people won't be likely to use the free model at all. Is there a demand for my product or service? If there's no demand for your product or service, it probably doesn't make sense to start off with a freemium model. Bottom line: Don't jump into the freemium mode just because it's worked for others in the past. Decide whether or not the upfront investment of your time and money will be worth it in the long run, and consider what works best for your business and your buyer personas. 2. In what ways can your company provide value for free? At New Breed, for example, we're a services company, and our product is our people. To provide value upfront, we offer one-on-one consultations with our prospects about any topic of their choice. We might audit their HubSpot portals, assess their Salesforce data or talk about anything else they might be struggling with — for free. This gives prospects a chance to get the sense of what it's like to work with our strategists and see the value and education we can provide right away. 3. How much value is too much value? Whatever you decide to offer, it's important to be able to distinguish the line between just enough value to encourage freemium users to buy, and so much value that there's no sense in them purchasing the full product. Obviously, you don't want to give away your entire product or service for free, because any additional purchases will be seen as add-ons. Find the sweet spot. Put the pay wall for the premium version in front of crucial features, but don't limit your freemium offers enough to hinder your prospects' ability to extract value. A great example of this is the freemium model of Vidyard's GoVideo: The free GoVideo Chrome extension allows users to take videos, but it doesn't allow them to see granular tracking or choose their thumbnail image. Putting the pay wall in front of little inconvenient things like this gives users more incentive to purchase the full product in the long run. By incorporating freemium into your business model, you have the ability to begin delighting your customers before they're customers at all. Ultimately, this will set your business up for generating recurring revenue, creating loyal brand evangelists and seeing long-term success.